Morning all, what a busy week it's been this end:-) I can't believe its friday already. I've had the all clear from the Consultant. I had no idea the lovely surgeon had added extra screws in my hip joint until I saw the X Ray. Theres no moving that baby lol!!! 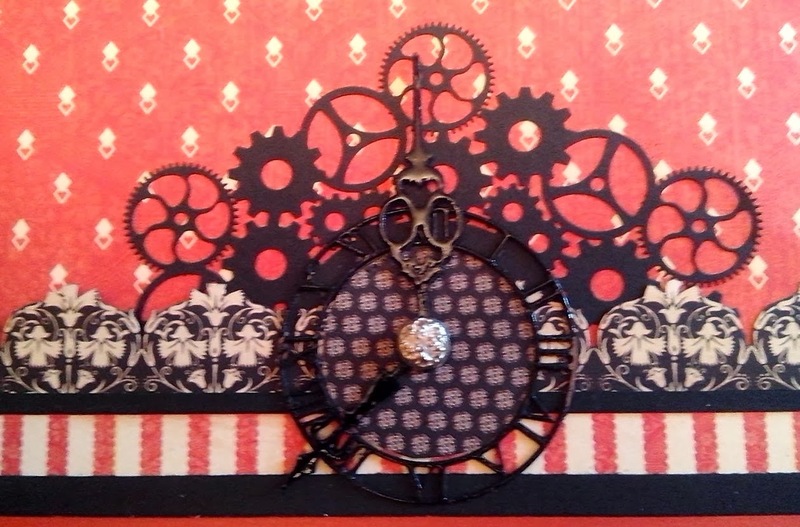 It's been layout week here in the My Creative Spirit craft room so I thought I'd share one with you. The picture I've used was given to me by my Auntie a while ago and is of my Great Great Uncle Wolney and his family circa 1900. 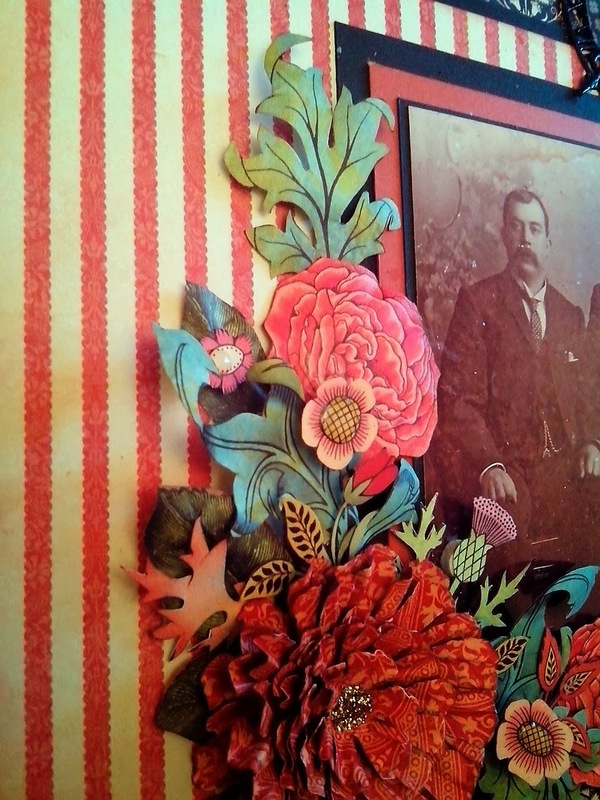 I've used 12 x 12 and 6 x 6 papers from the Couture Collection by G45 for the background for a real Victorian/Edwardian feel and then added some three dimensional decoration cut out from the Gorgeous paper. 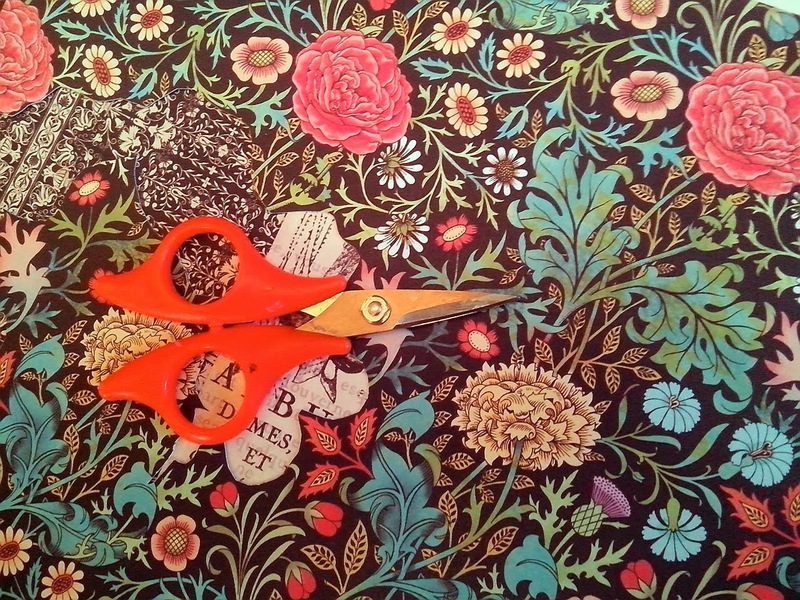 It's a painful process as some of the flowers are really small but gives great dimension to your projects and a real William Morris feel too. There are a couple of the new G45 ornate metal brads and key hole too. 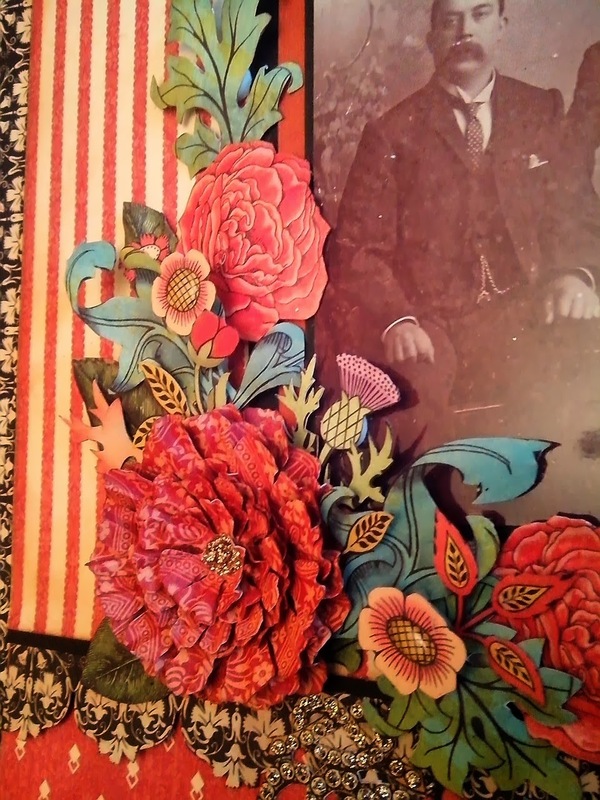 WOW this is stunning Clare, I love the gorgeous papers and those flowers look stunning! Hi Clare this is gorgeous beautiful decorated. Follow you now so I don't mis anything. Hi Clare, Wow !! definitely the 'Bionic Woman' then haha, at least you know it won't come apart though, must be surreal when looking at it on an X-Ray !! 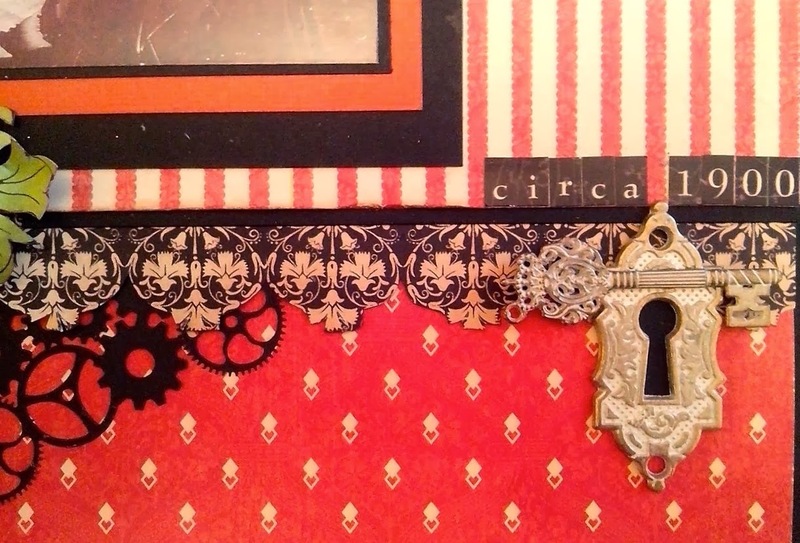 Love, love, love, the layout, definitely Victorian/Edwardian feel, with a bit of French thrown in too, I love it, I definitely must start to scrapbook, I keep saying this and never doing it, but this year it is a definite !! Have a lovely day at Pink Tulip. Love what you've done with this gorgeous paper line! Your fussy cut flowers are just stunning! 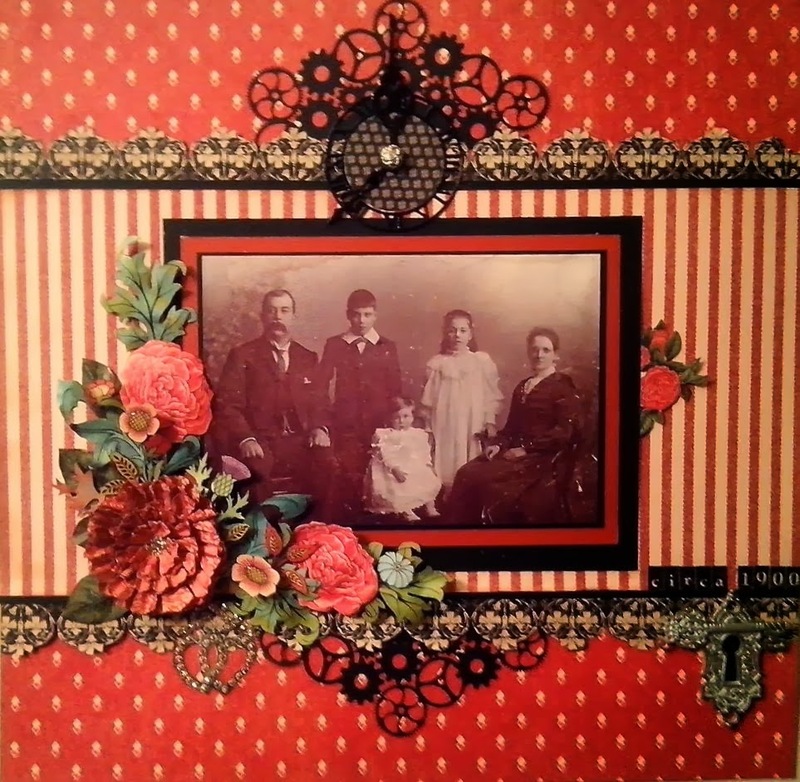 I love to see vintage photos featured in a layout...just lovely!!! Hugs from across the pond!! !